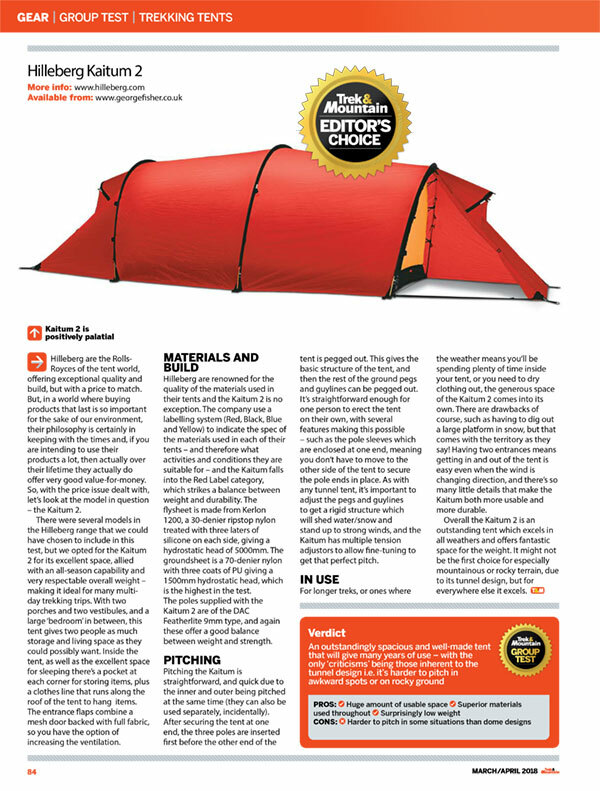 We are very happy to see that the Kaitum 2 won Editor’s Choice in the UK magazine Trek & Mountain’s test of trekking tents. They were particularly pleased with its huge interior space, high quality materials, and surprisingly low weight. Read the full review here or find out more about the Kaitum 2.